How to take a digital photo? With today's technology -- and depending upon the brand and model of digital camera you decide upon -- there can be a learning curve involved. Fortunately, there are resources available with guides, how-to's, manuals, and more. For beginners, we'll provide some good resources, as well as potential camera choices. Below, we'll delve into different types of cameras, a simple step-by-step of how to use a basic model, and provide links to sites which will help you to become a much better picture taker. What Are Your Camera Choices? Now, this is a simple set of guidelines for use of your new camera. Below, we'll look at sites that offer tips on how to become a better camera operator. HP offers ideas, as well, on printing pictures, editing, archiving pics, camera buying guides, and what's new in the industry. It's a pretty nice site for beginners and pros alike. At PCWorld.com, Patrick Miller and Dave Johnson offer a whole slew of ideas on how to become a better picture taker. There are links on their page to proper composition, tips for improving exposure, shooting silhouettes, taking pictures during twilight, and so much more. Thus, how to take a digital photo can be a simple process with the right camera. Or, it can be something that needs time, effort, and a fundamental knowledge base of some of the more advanced models available. Either way, the fun is in the process. When you print out your newly snapped pictures, you'll be happy you took a few moments to learn the best practices around. And so will your picture subjects! HP.com: Take Better Photos: Digital Photography Tips and Ideas. 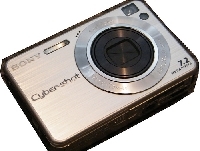 PCWorld.com: Take Better Photos With Your Digital Camera.